Celtic Silver Horse Necklace - 100% Proceeds go to Charity. Finely crafted elegant gold horse head silhouette necklace. This lovely Celtic silver horse necklace is a finely crafted piece of jewellery with an elegant design. 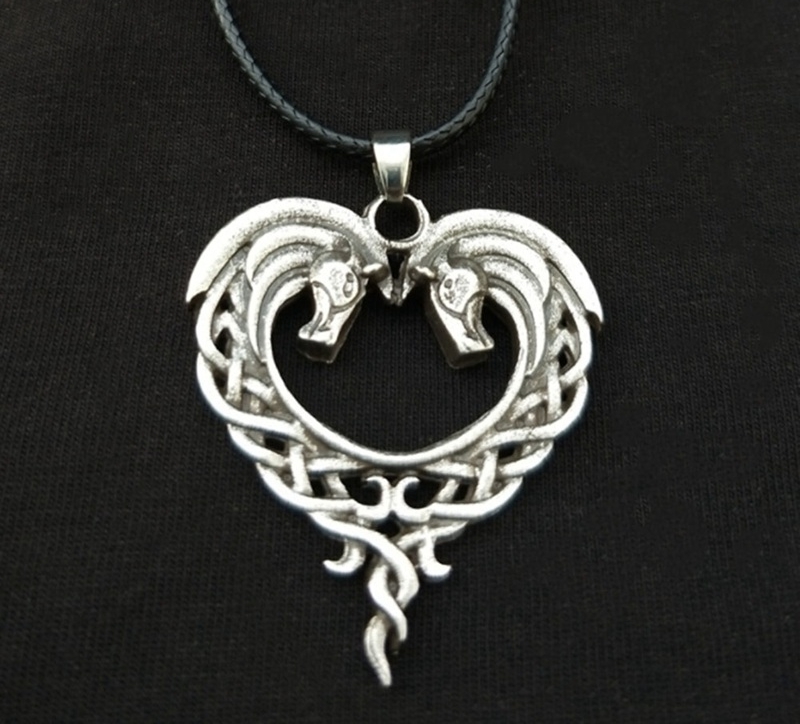 Two interlocking horse heads joined to form a Celtic design heart shaped pendant. It comes with a black leather necklace with clasp closure and an extender chain, to adjust the length. All beautifully presented in a black gift box with silver bow.